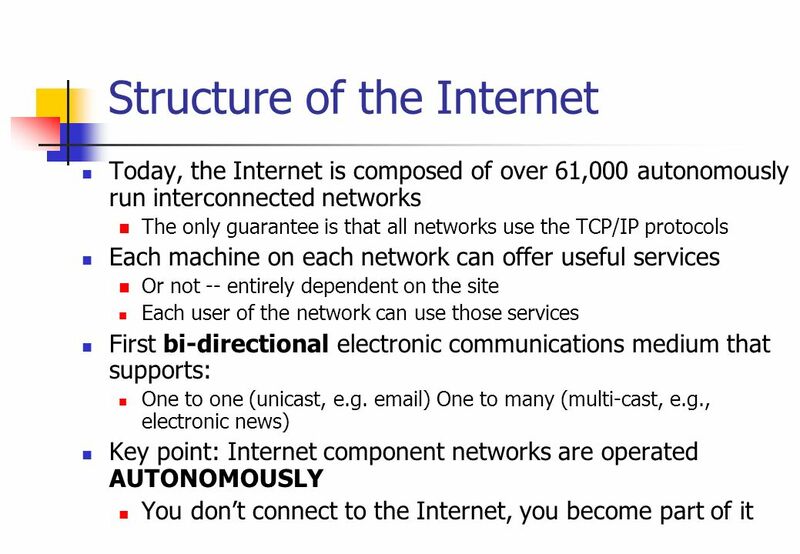 2 Introduction “The Internet” does not exist! 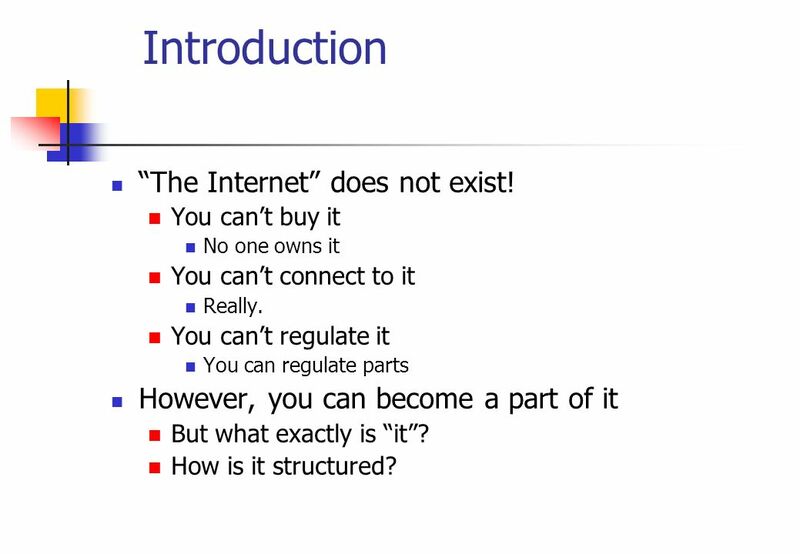 You can’t buy it No one owns it You can’t connect to it Really. 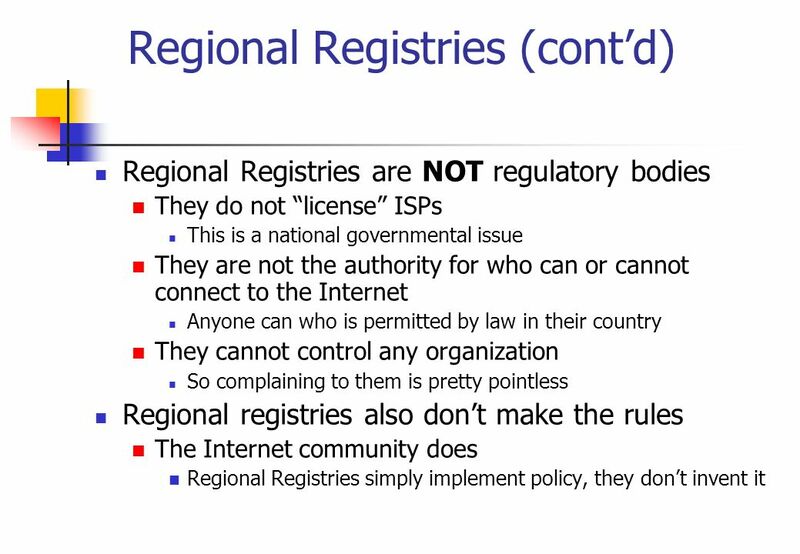 You can’t regulate it You can regulate parts However, you can become a part of it But what exactly is “it”? 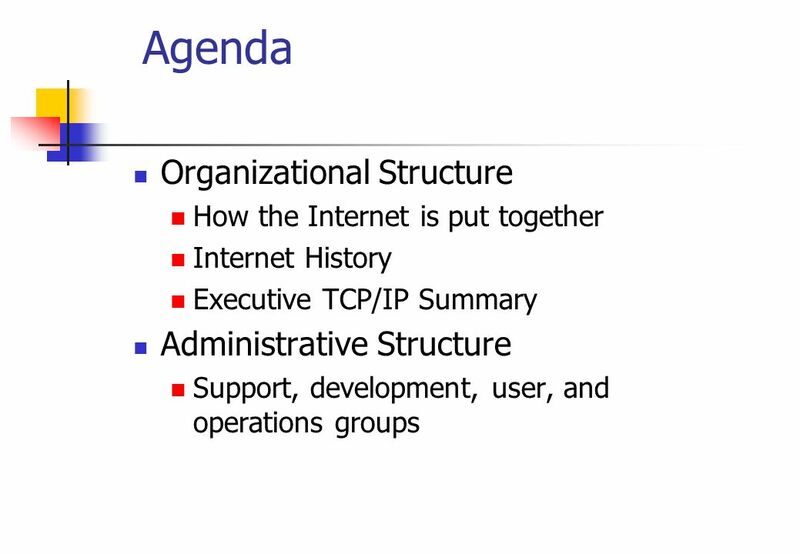 How is it structured? 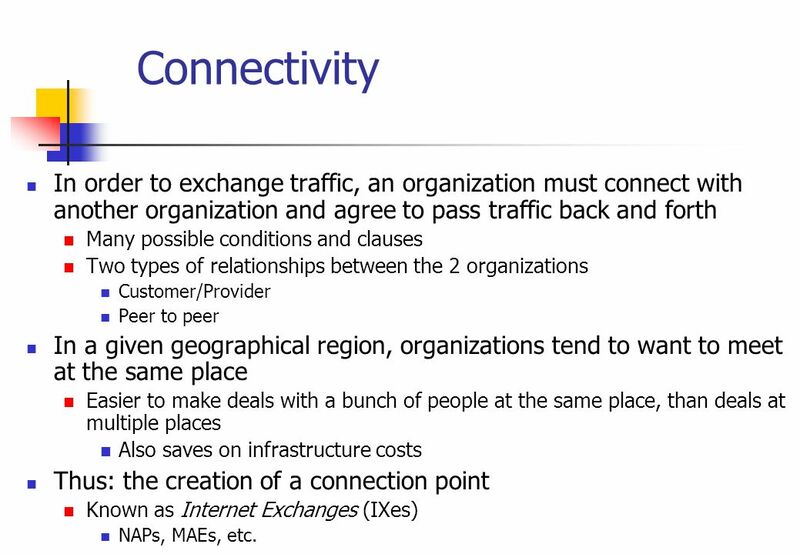 8 Connectivity In order to exchange traffic, an organization must connect with another organization and agree to pass traffic back and forth Many possible conditions and clauses Two types of relationships between the 2 organizations Customer/Provider Peer to peer In a given geographical region, organizations tend to want to meet at the same place Easier to make deals with a bunch of people at the same place, than deals at multiple places Also saves on infrastructure costs Thus: the creation of a connection point Known as Internet Exchanges (IXes) NAPs, MAEs, etc. 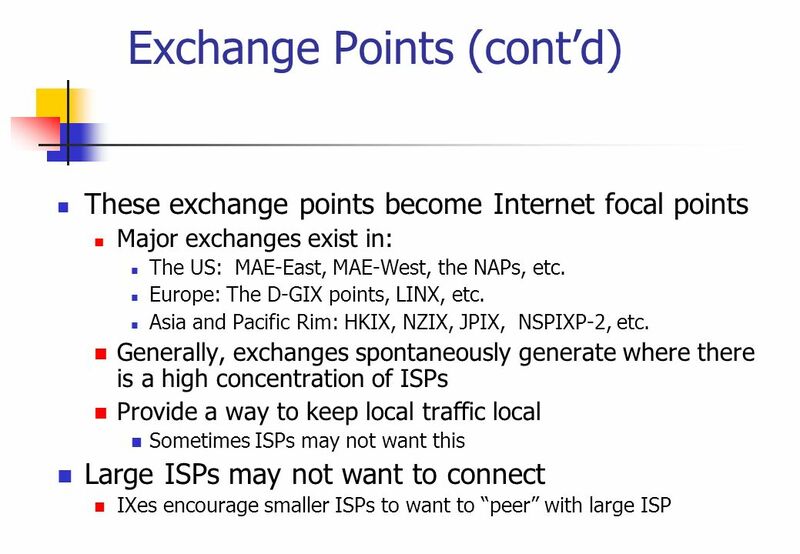 9 Exchange Points Who connects to exchange points? 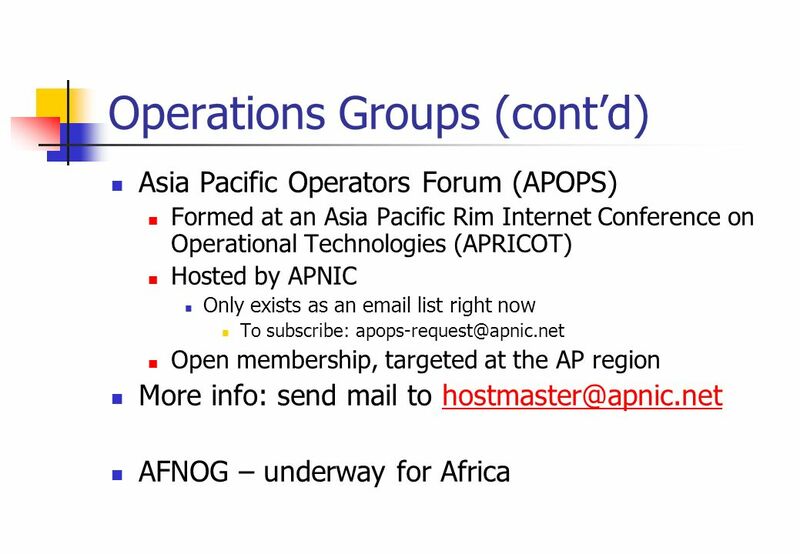 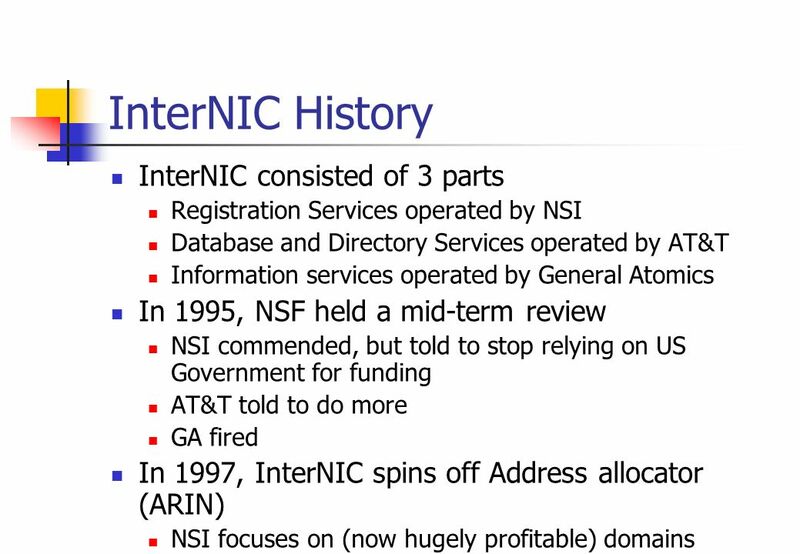 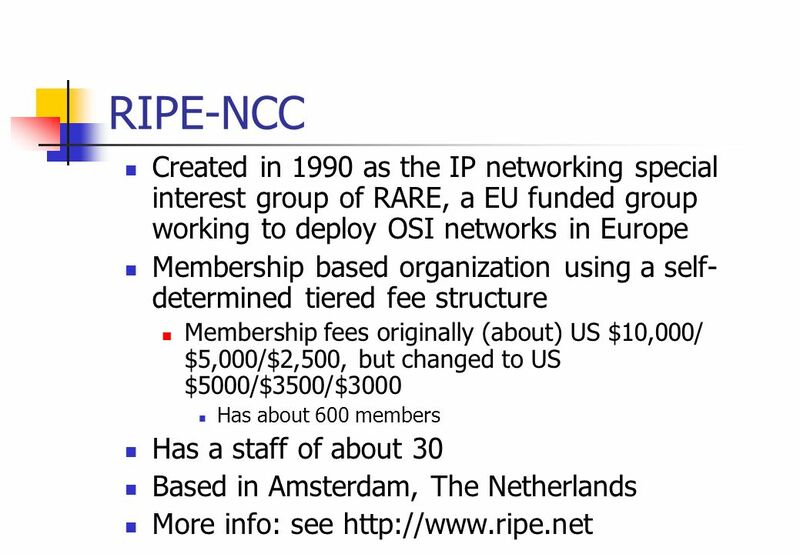 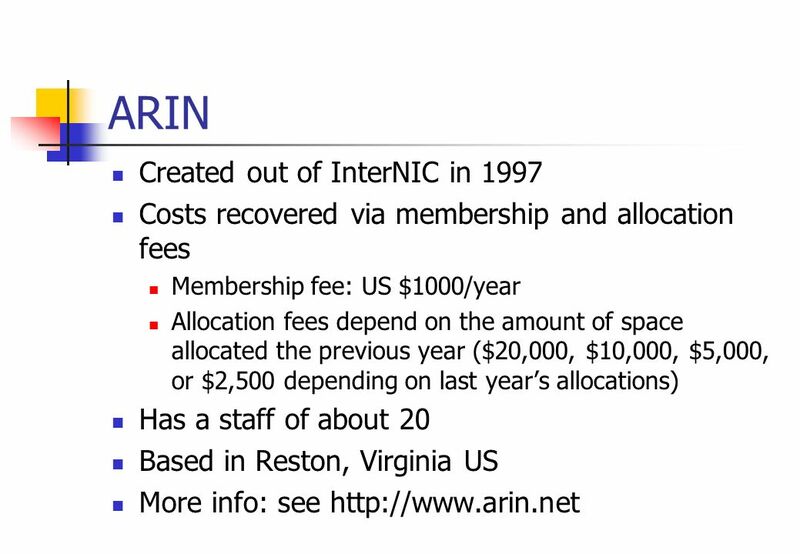 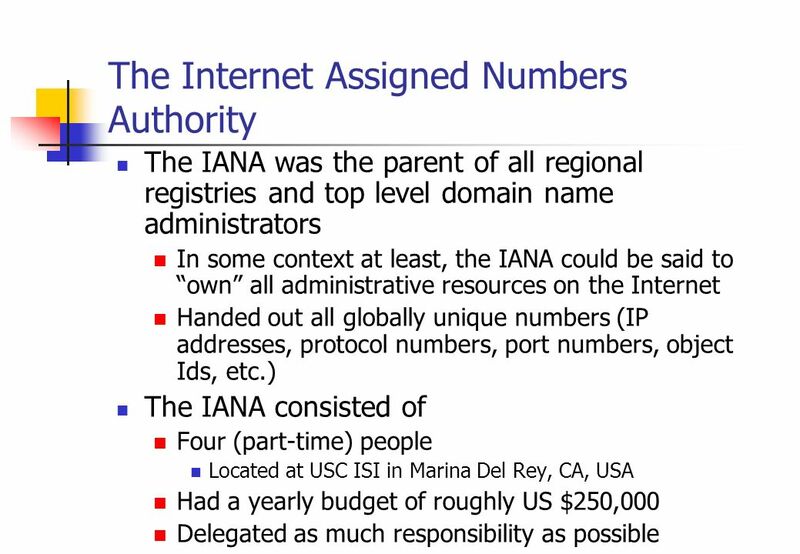 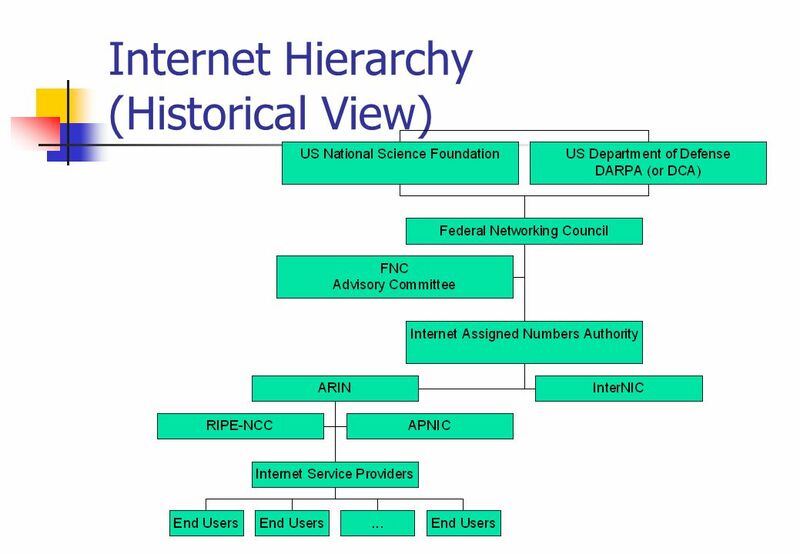 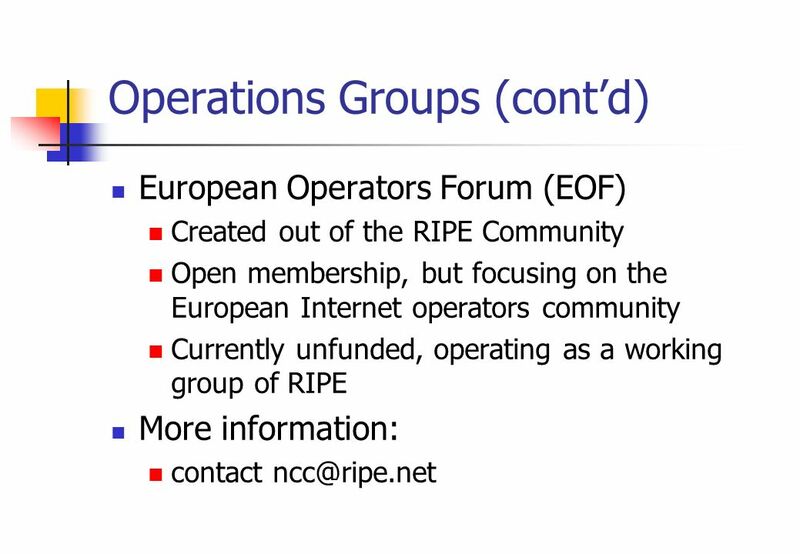 28 The ICANN phase US Government wants to ‘devolve’ the Internet’s administrative function to self-regulatory structures A bunch of DNS crazies step into the room ICANN attempts to ‘work out’ the DNS mess Address infrastructure management actually left to the RIRs US Government increasingly nervous about the whole deal Watch this space! 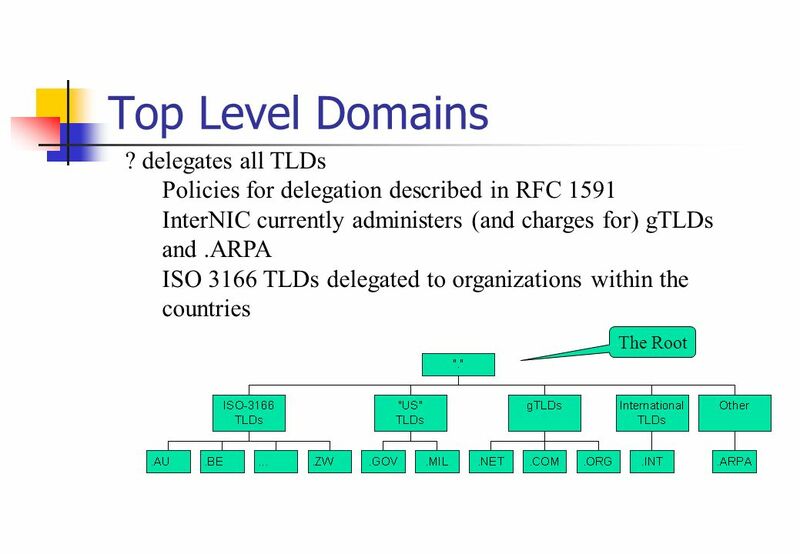 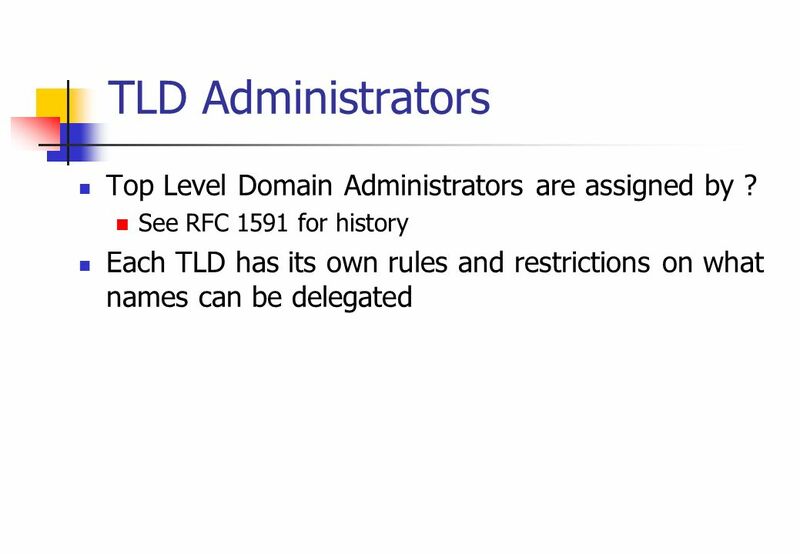 40 TLD Administrators Top Level Domain Administrators are assigned by ? 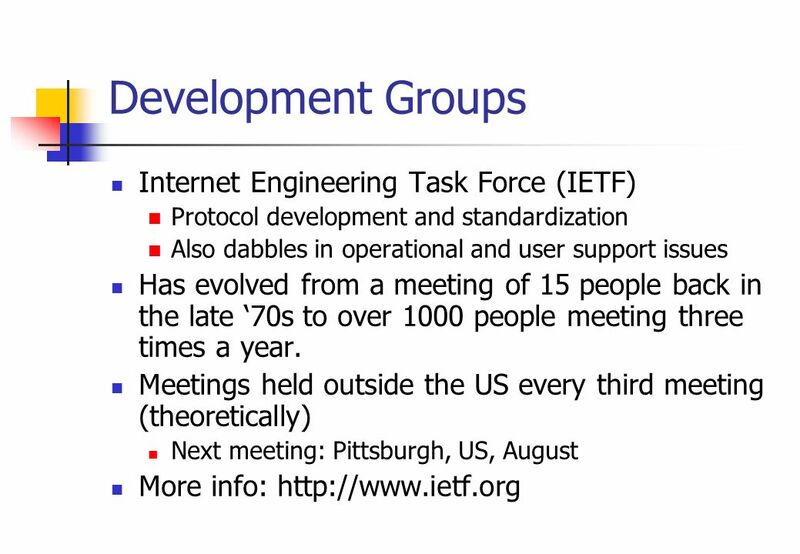 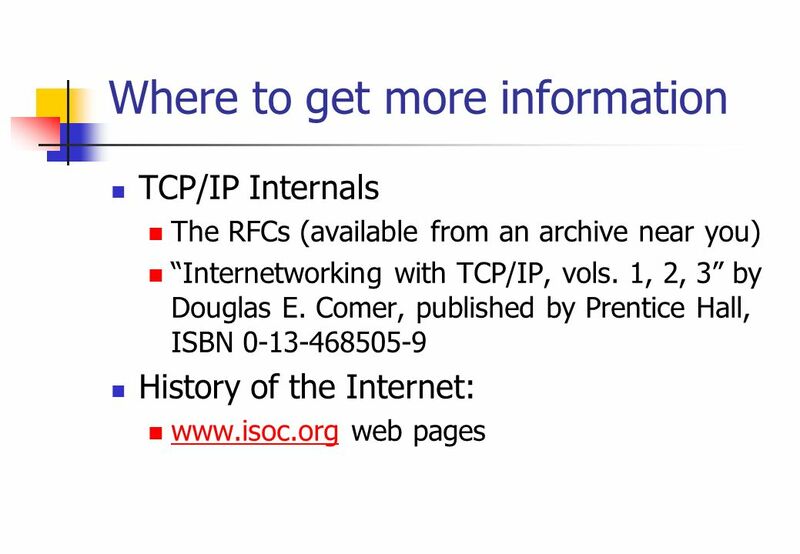 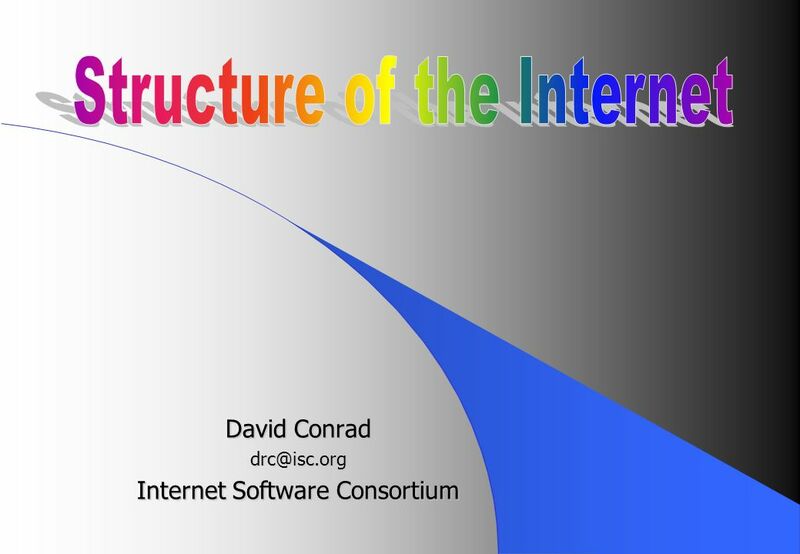 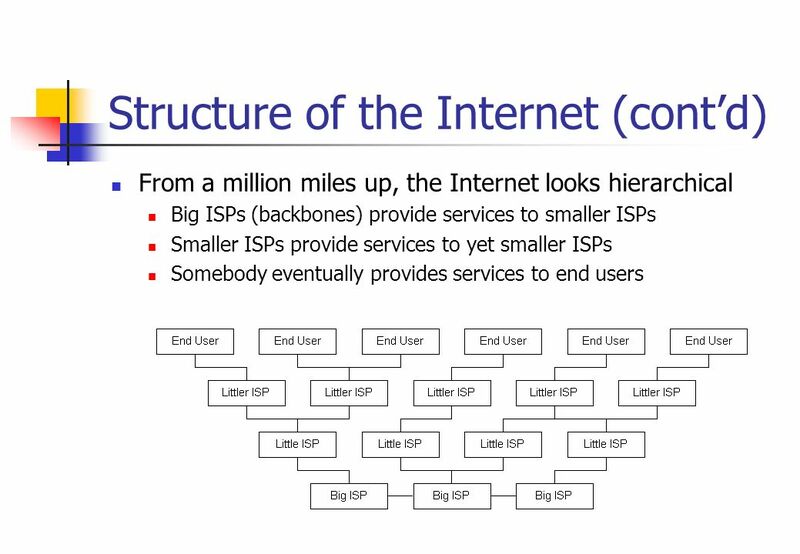 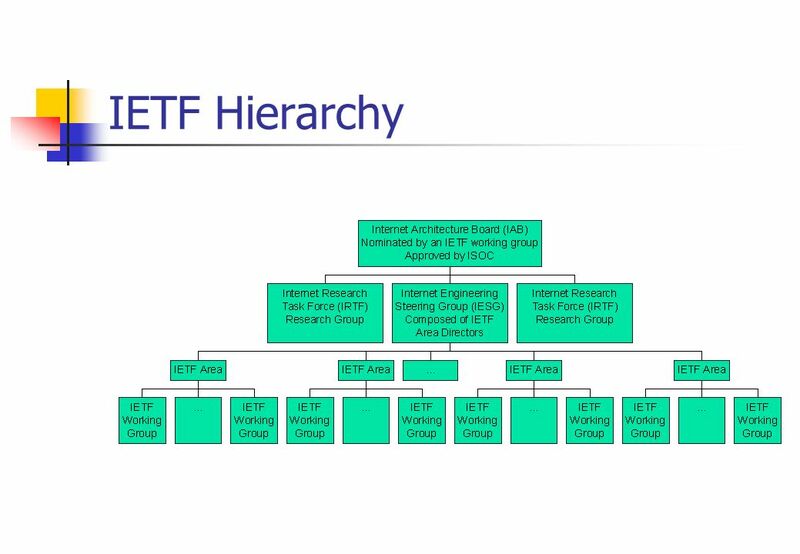 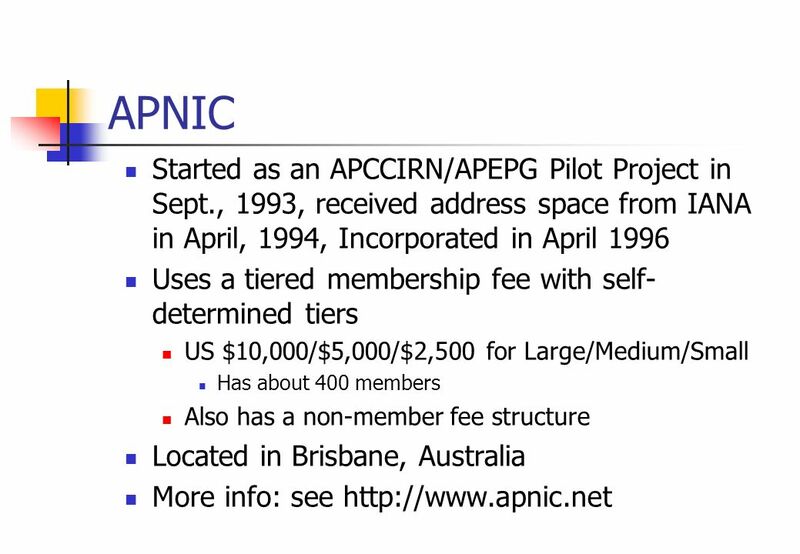 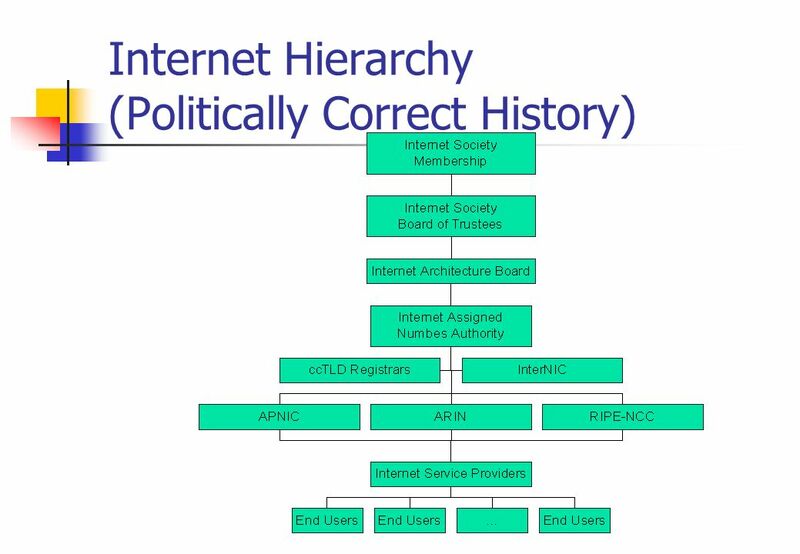 Download ppt "David Conrad Internet Software Consortium"
Copyright, Issues from Internet Technologies 3 – Internet Governance Roger Clarke, Xamax Consultancy, Canberra Visiting Prof/Fellow, Unis of. 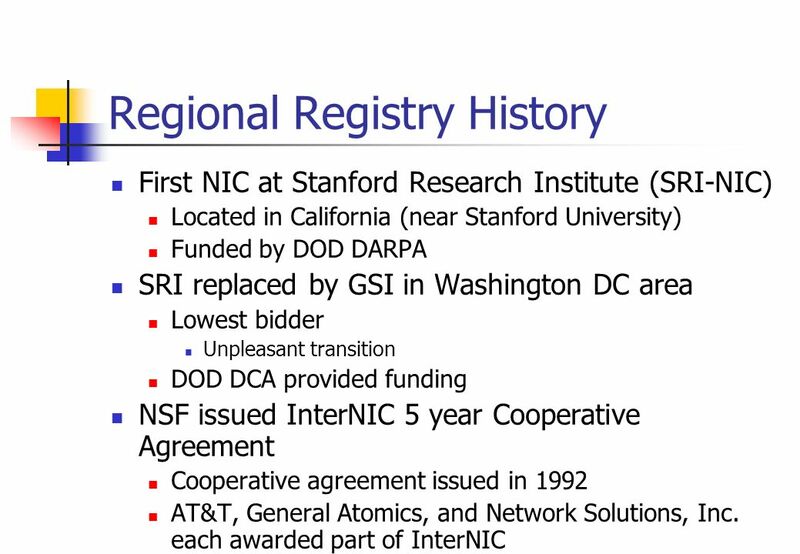 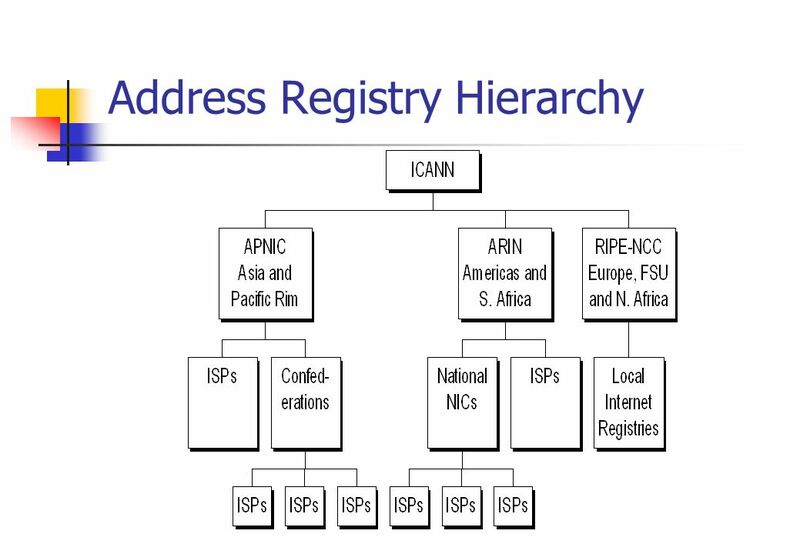 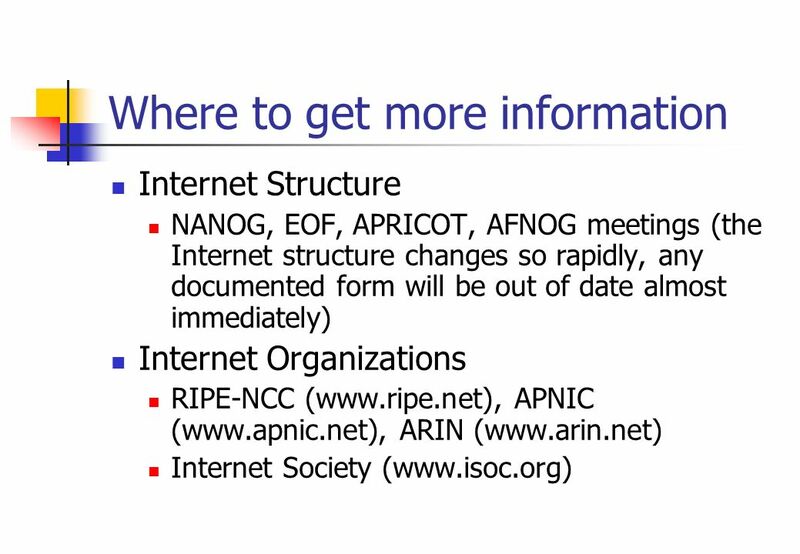 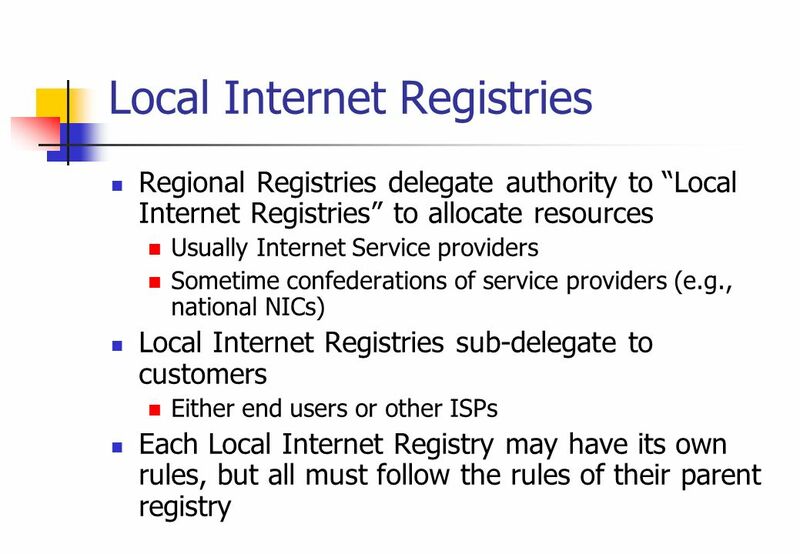 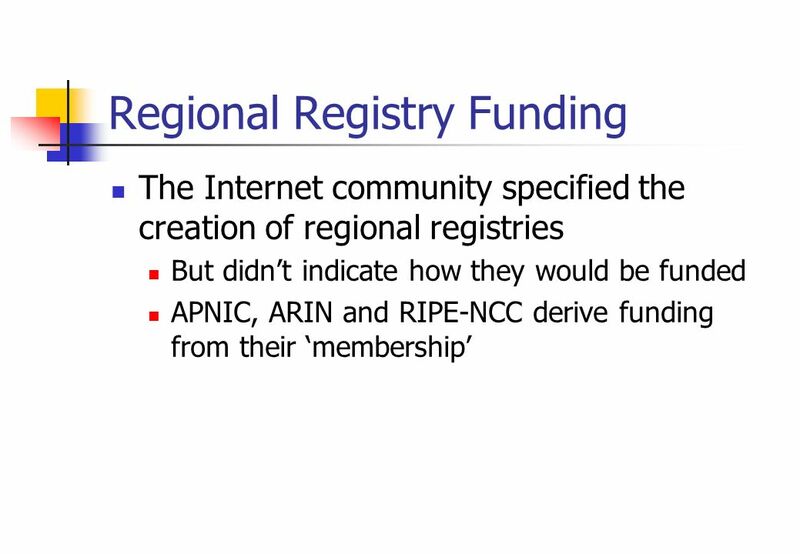 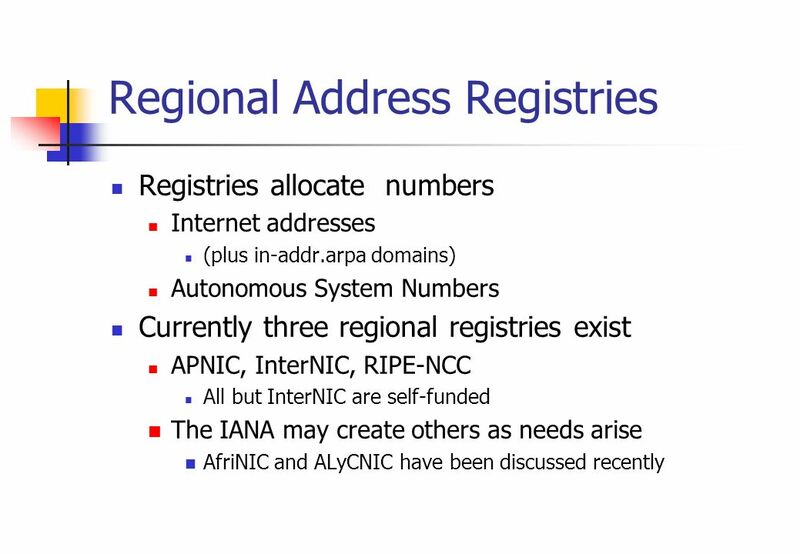 Address Registries David Conrad Internet Software Consortium. 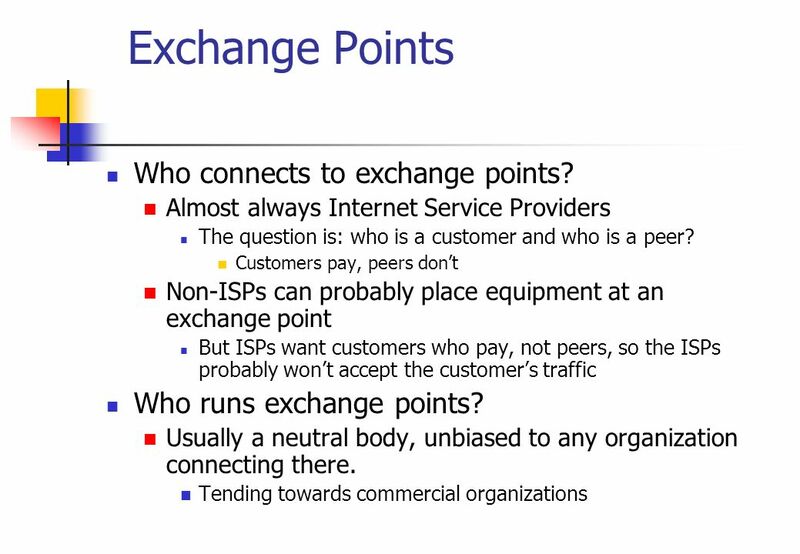 Chapter 4: The Internet Business Data Communications, 6e. 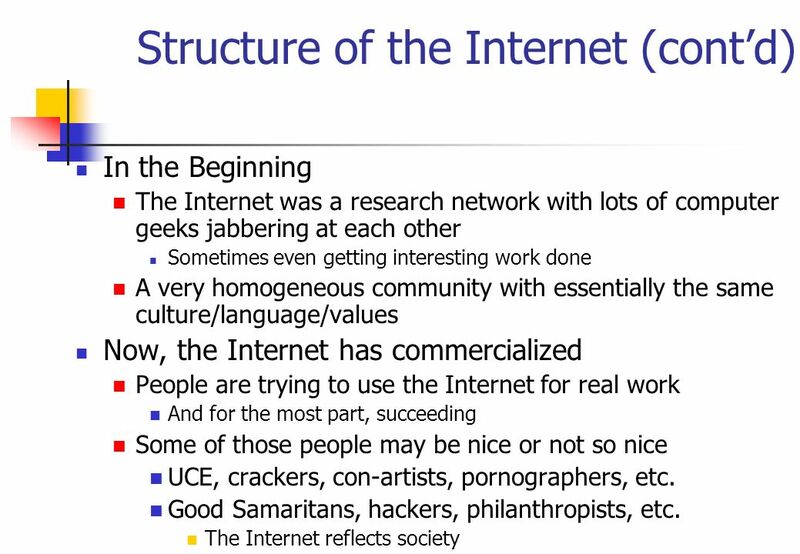 Chapter Twenty Navigating the Internet. 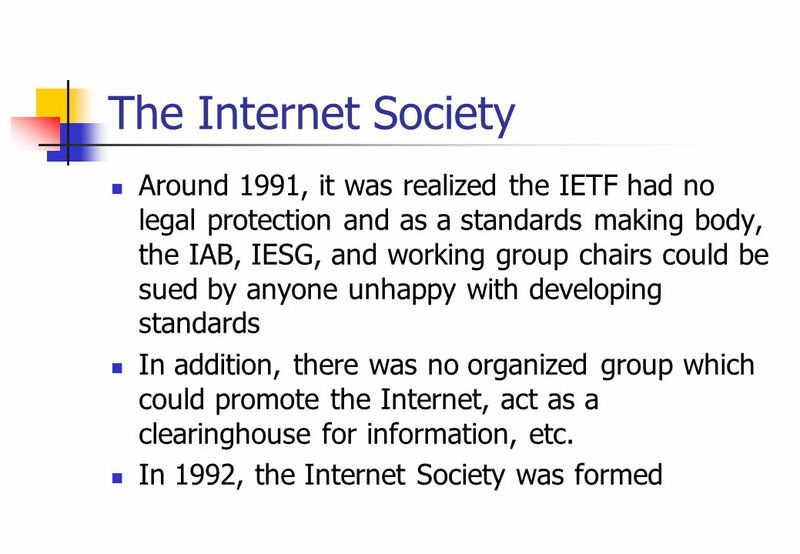 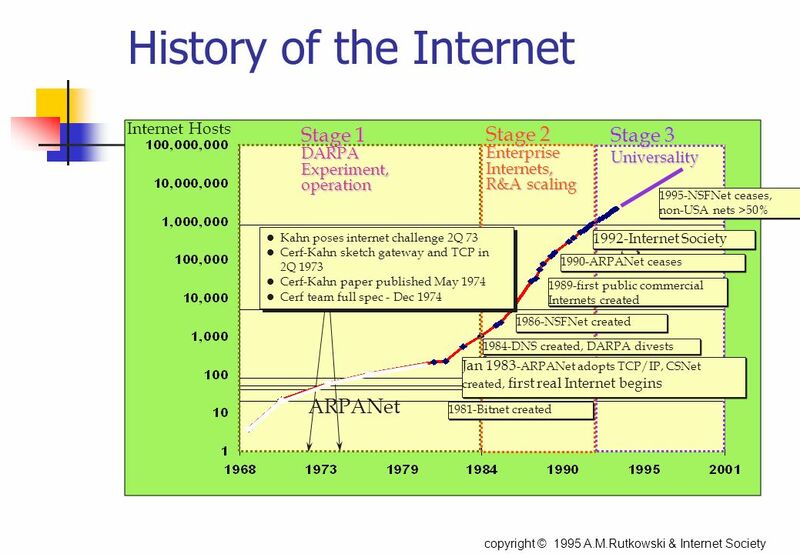 Objectives To learn about the history of the Internet To examine the infrastructure of our electronic world To. 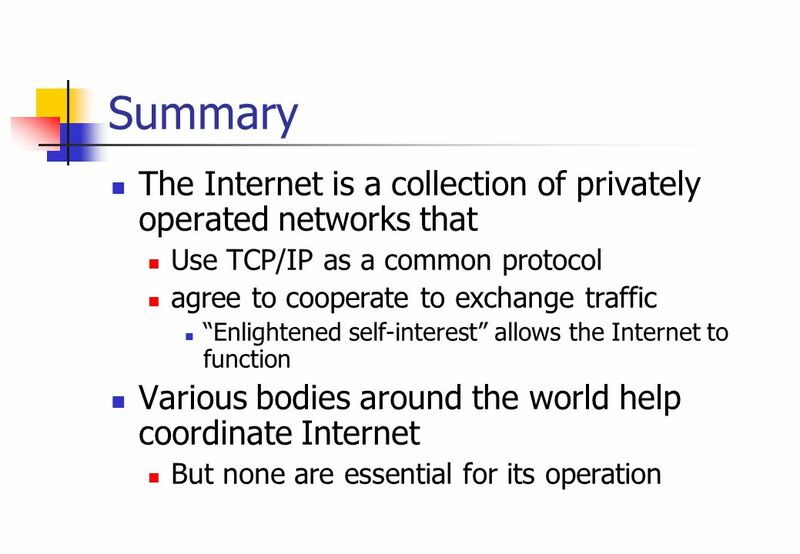 Networking Based on the powerpoint presentation of Computer Networking: A Top Down Approach Featuring the Internet, Third Edition, J.F. 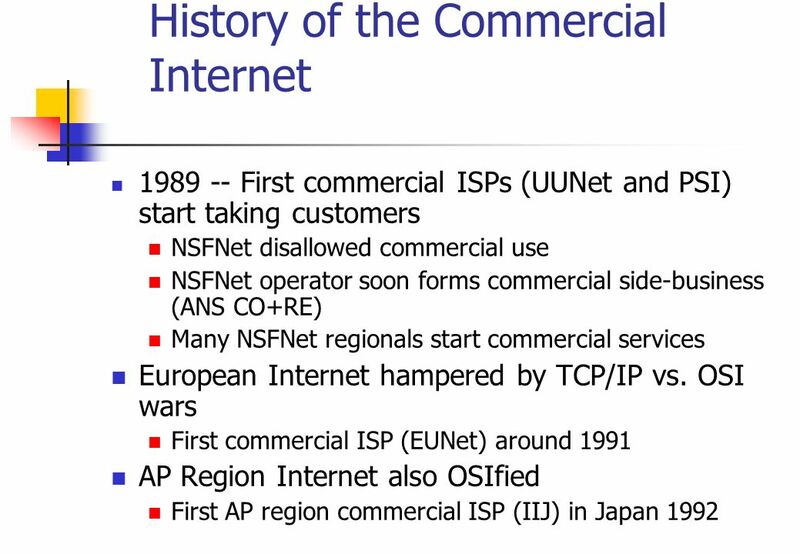 Kurose and K.W. 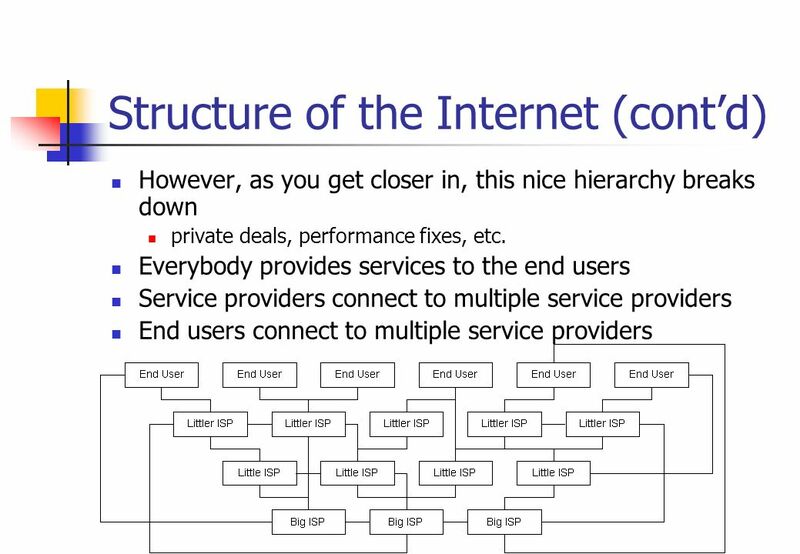 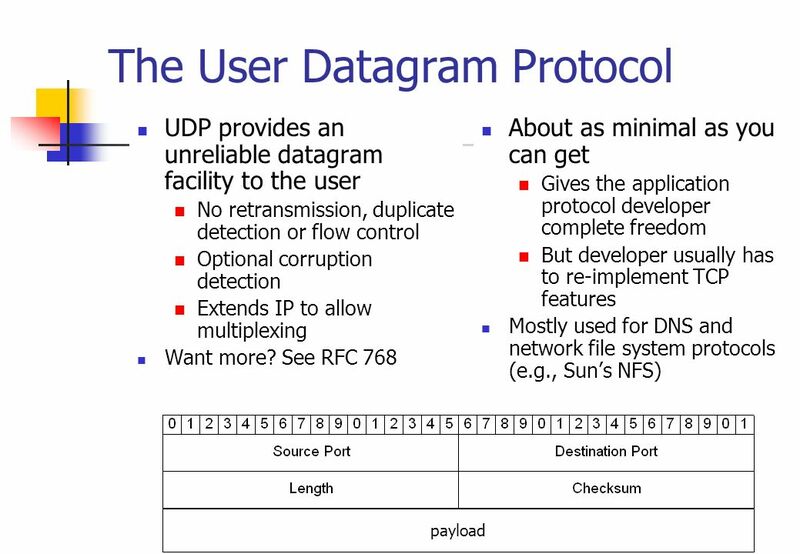 Network Architectures Week 3 Part 2. 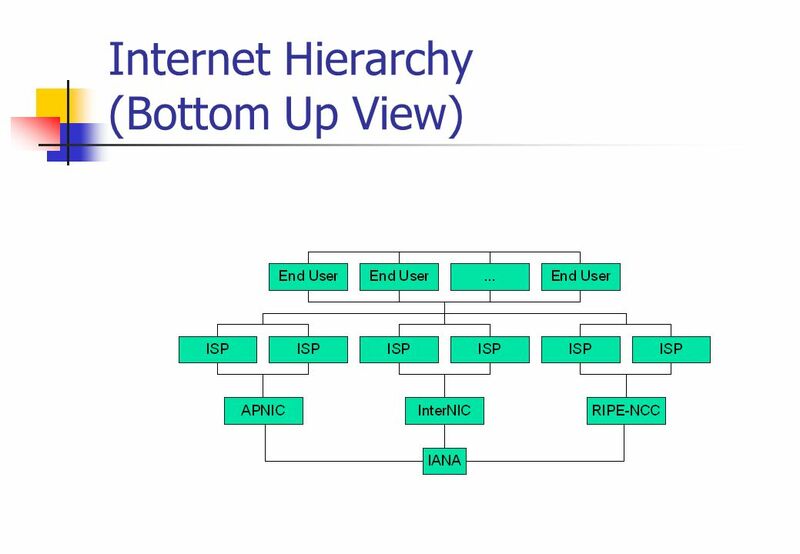 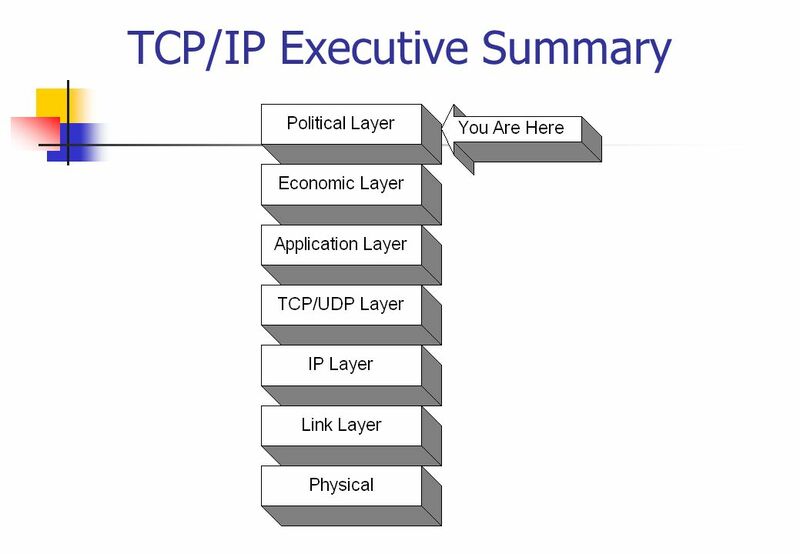 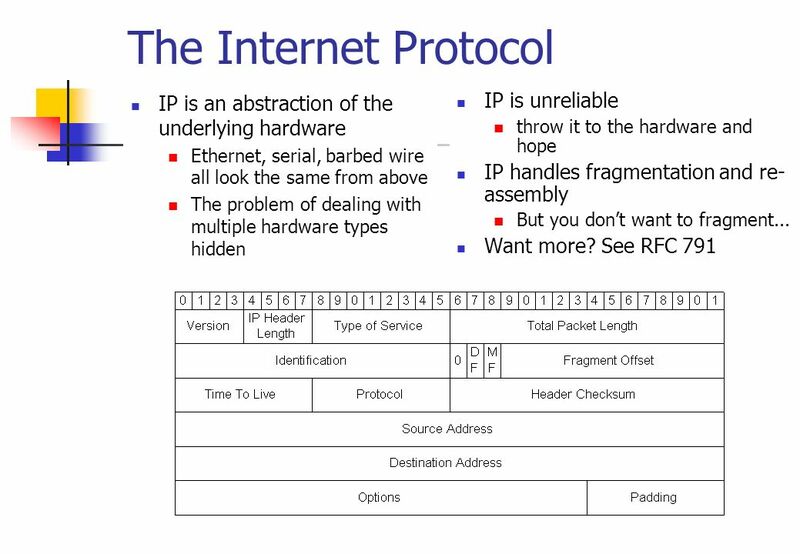 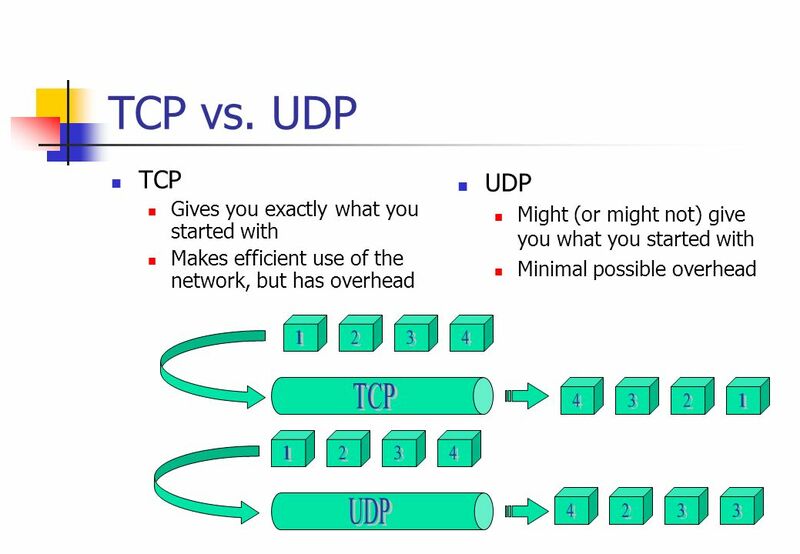 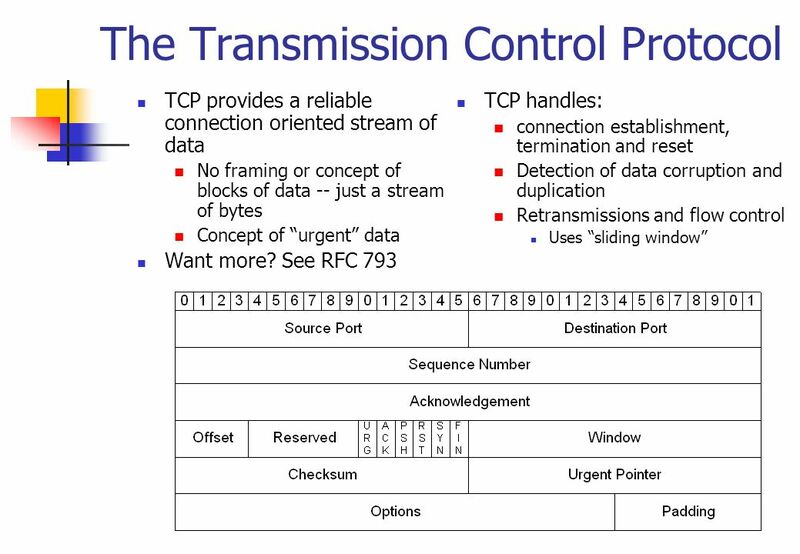 Comparing The Internet & OSI. 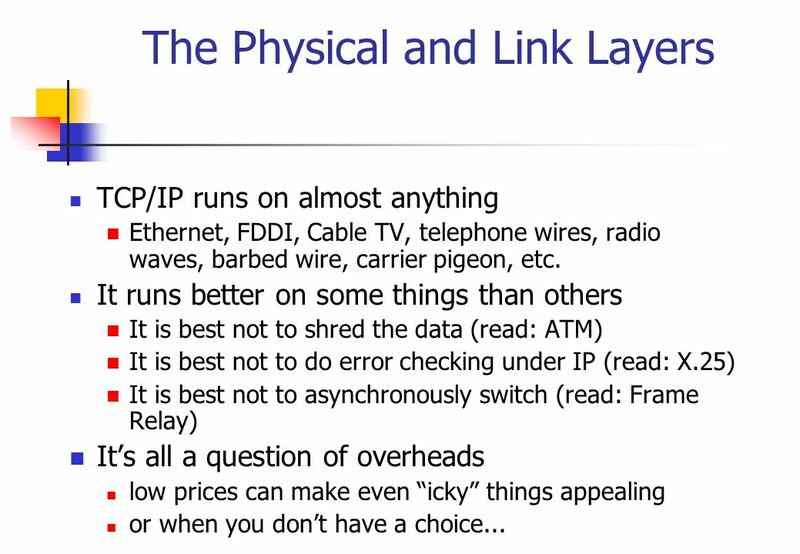 CSI315 Lecture 1 WEEK 1. 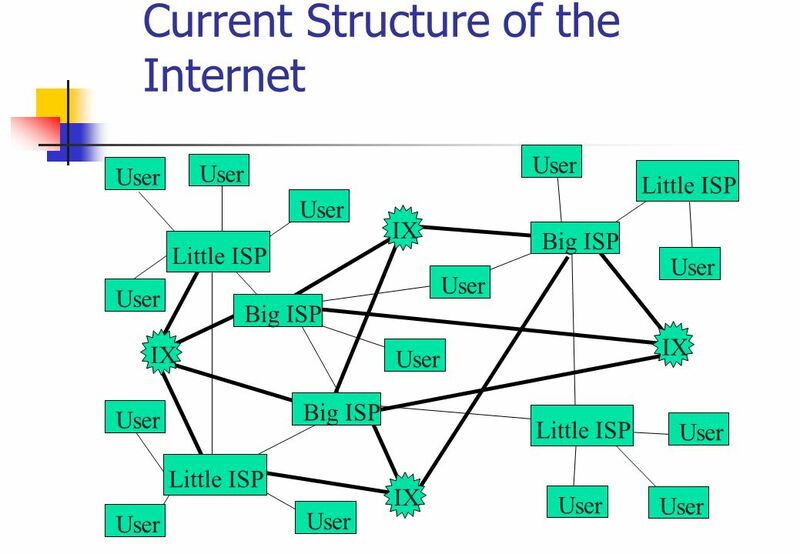 The Internet A world-wide network of millions of computers connected to share information and communication. 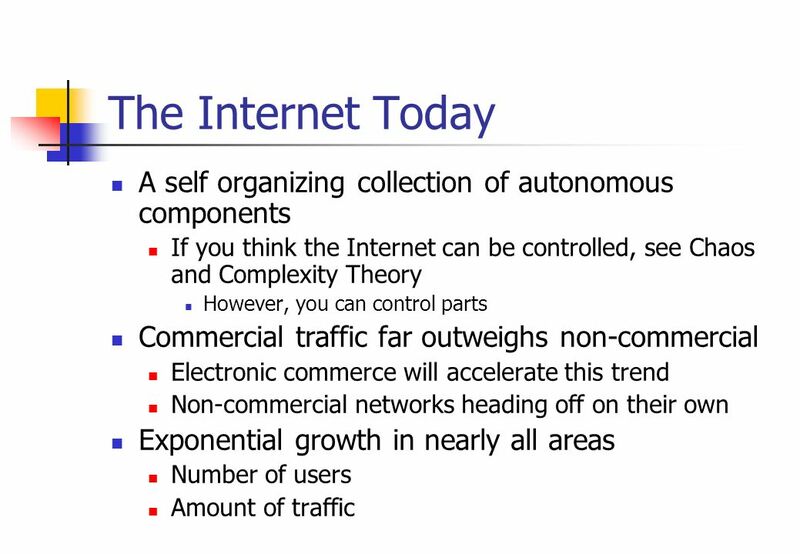 The interconnected.